Product prices and availability are accurate as of 2019-03-23 08:52:49 EDT and are subject to change. Any price and availability information displayed on http://www.amazon.com/ at the time of purchase will apply to the purchase of this product. 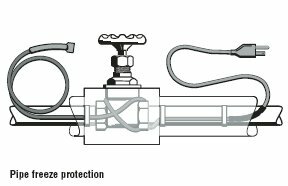 Reliable, self-regulating, and designed for metal and plastic pipe freeze protection. 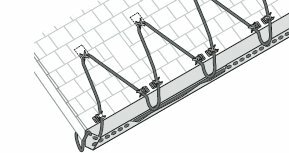 You can also use it for gutter and roof deicing applications on porches and overhangs. Suitable for use in dry or wet locations. 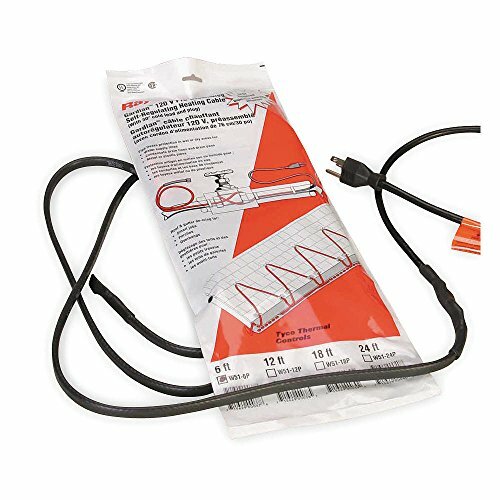 24 ft. preassembled waterproof heating cable with 30 inch cold lead for pipe freeze protection or roof/gutter de-icing applications. NOTE: The National Electrical Code requires the use of ground-fault protection of equipment to reduce the risk of fire caused by damage or improper installation. All installations must also comply with applicable local codes and standards.